Everything is so New, So Near, So Wonderful... Welcome to Country Club Heights! 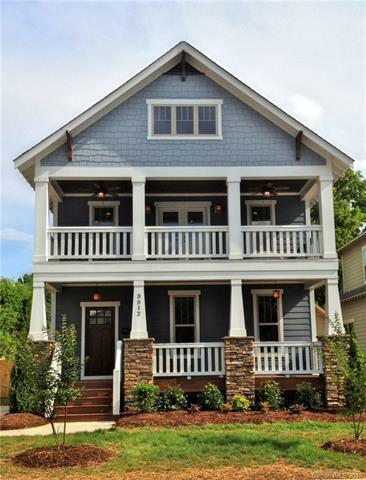 New construction home offers Double balcony, Comfortable size great room with stone fireplace, dual coat closets, and lots of windows. Informal dining room area just right for candlelight or spacious enough for entertaining. Awesome gourmet kitchen with granite, custom cabinets, pantry, and gas range. First floor guest suite has private bath. Wood flooring and heavy molding threw out the first floor, Upstairs offers a spacious owners suite with large closet and double doors to private 2nd level balcony, and luxurious bath with European style tub, dual sinks, and separate shower. 2 other restful bedrooms that induce restful slumber. All bedrooms have wood flooring and lots of molding. Baths and laundry have tile. Level backyard is perfect for outdoor entertaining. This close to uptown and worth every penny!